The numerous health issues caused by the intake of nicotine has led governments across the world to impose restrictions on cigarettes, which has resulted in an increased demand for alternatives. Low cost and easy availability of smokeless tobacco products are driving sales. Additionally, claims of being less harmful than cigarettes by major brands there is driving the growth of the global smokeless tobacco market. The increasing number of campaigns and advertisements by market players has created an awareness about the harmful effects of cigarettes. In the US and other countries, smokeless tobacco products are sold with a warning label to drive home the health risks. Some companies, including Swedish Match, have suggested the warning to be altered and have proposed a new warning statement, stating ’No tobacco product is safe, but this product presents substantially lower risks to health than cigarettes.’ Such campaigns are driving market growth across the globe. The global smokeless tobacco market has been segmented, by region, into North America, Europe, Asia-Pacific, and the rest of the world. Asia-Pacific is expected to maintain its dominance on the market during the forecast period. The regional market is projected to reach USD 12,276.3 million by 2023 at a CAGR of 4.55%. India accounted for the largest market share of 71.68% in 2017 and is projected to remain the largest country-level market during the review period. North America is projected to be the second-largest market with a share of 30.24% in 2017; the regional market is expected to register a CAGR of 4.46% during the forecast period of 2018 to 2023. The market in the rest of the world is projected to register a low growth rate during the forecast period. 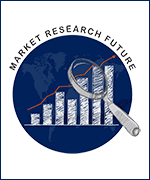 The global smokeless tobacco market has been segmented based on type, form, route, and region. The global smokeless tobacco market has been segmented, on the basis of type, into chewing tobacco, dipping tobacco, and dissolvable tobacco. The dipping tobacco segment accounted for the largest market in 2017 share and is expected maintain its dominance during the forecast period. On the basis of form, the global smokeless tobacco market has been classified as moist and dry. The dry segment is expected to be the larger and faster-growing market during the forecast period owing to easy storage and longer shelf life as compared to moist tobacco. The global smokeless tobacco market has been categorized, on the basis of route, as oral and nasal. The oral segment is projected to be the largest and register the highest CAGR during the assessment period due to the easy intake using this route. The leading market players in the global smokeless tobacco market are Dharampal Satyapal Limited (India), MacBaren Tobacco Company A/S (Denmark), Swisher International Group, Inc. (US), Japan Tobacco, Inc. (Japan), Imperial Brands PLC (UK), British American Tobacco PLC (UK), Altria Group, Inc (US), and Swedish Match AB. (Sweden). The dry form segment is expected to register a CAGR of 4.45% during the forecast period to reach USD 12,799.4 million by the end of 2023. The moist segment is projected to exhibit a CAGR of 4.36% during the forecast period.